To receive a free lunch, you must register. The Deadline to register is Tuesday, Nov. 13th. When: Nov. 16 | 9 a.m. — 4:30 p.m.
What: Early stage cancer researchers are invited to the UF Health Cancer Center to meet faculty and learn about the innovative research being conducted at the Center. 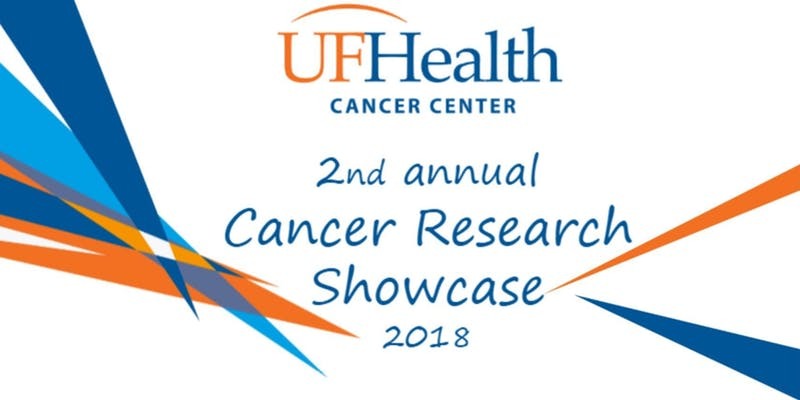 The UF Health Cancer Center is proud to present the 2nd Annual Cancer Research Showcase! November 15-17th, 2018, we will host 10 K-awardees from across the nation. This will be a unique opportunity to meet some very promising early stage cancer researchers, and show them how great it is to live and work in North Central Florida! The main symposium will be held on Friday, November 16th, beginning at 9:00am. The invitees will give brief talks about their work, attend presentations by UF faculty, tour the ICBR, and learn about the excellent faculty development opportunities at the University of Florida. 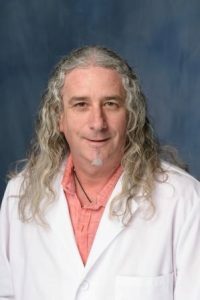 This year’s keynote speaker will be Christian Jobin, PhD, of the University of Florida College of Medicine’s Division of Gastroenterology, Hepatology, and Nutrition. Lunch will be served the day of the event. This event is open to faculty, staff, Cancer Center members and affiliates, and lab members and trainees. Please feel free to forward this invitation to any lab personnel or trainees who may be interested in attending. Thank you for helping to make this a successful event! Dr. Jobin is the Gatorade Trust Professor of Medicine at the University of Florida Gainesville. He received his PhD in Immunology/Microbiology from Université Laval (Quebec, Canada) in 1994. He did a post-doctoral fellowship at the University of North Carolina Chapel Hill working on bacteria host interaction in the intestine. Dr. Jobin’s research focuses on establishing mechanisms controlling host-bacteria interaction in the intestine. His laboratory is especially interested in the functional impact of bacteria in inflammation and carcinogenesis. Using genetically engineered mice and zebrafish, germ-free and gnotobiotic technology in combination with microbial genomics, his lab studies the role of bacteria in cancer. He has published over 150 scientific papers (Science, Nature, Nat. Comm., Nat. Micro., Immunity, J. Exp. Med., Gastroenterology) and presented his work at various national and international scientific meetings (>150 conferences). His research, supported by the National Institute of Health has led to numerous awards and honours (Mucosal Immunology Society Award, American Gastroenterological Association Fiterman Young Investigator Basic Research Award, UF Senior Faculty Excellence in Research Award). Dr. Jobin has served on several study sections including American Cancer Society, CCFA Fellowship and Career Awards, NIH tumor microenvironment and he is currently serving on the Gastrointestinal Mucosal Pathobiology study section (GMPB-permanent member).